Mark and Grant play a game. See if you can figure out what it is. 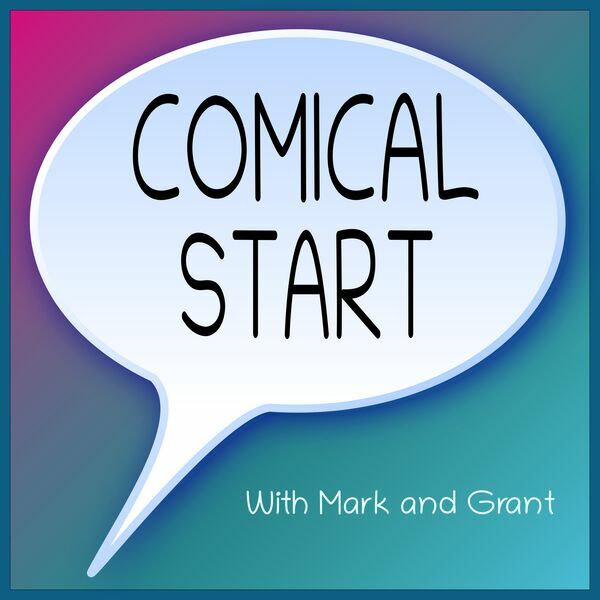 Mark starts off with a Frank and Ernest comic, to ask about Grant's experience wearing glasses. They wonder why 20 feet is the magic distance we want humans to see things from, and wander off into the world of IQ scores. Grant brings a Loose Parts comic to ask Mark about how to defend ideas to people who are experts. After a bit of a monologue, they discuss their experiences working on senior research projects and why Grant still won't compete with Mark in a typing test.